Bespoke Construction Services are thrilled to announce details of their newly awarded project in Coventry. 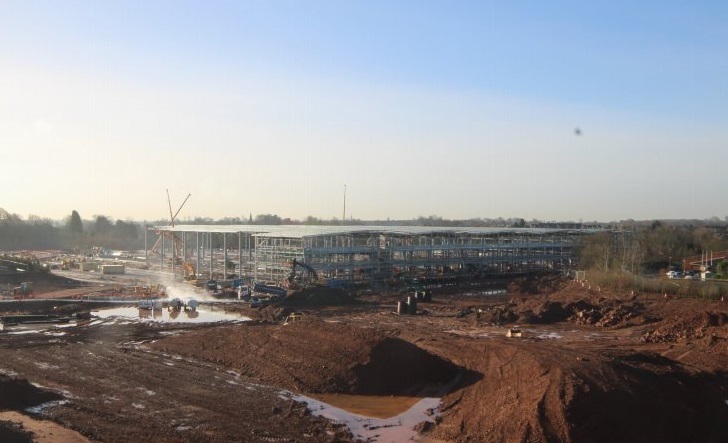 Situated on Lyons Park, this enormous project will be completed for online retailer, Amazon. Covering 470,000 sq ft, our scope of works at this new distribution centre involve the fit-out of office and hub office areas.Our vast works package includes partitions, drylining, joinery and the installation of kitchen facilities and suspended ceilings. covers the size of eight football pitches, will help enable fast and efficient distribution of Amazon products all over the country. The opening of this new centre will also give a welcome jobs boost to the area, with 1,600 new jobs to be created. This is now our third live project in Coventry and our second on Lyon's Park! With works commencing late March at a neighbouring warehouse and offices, works at nearby Carbon 207 are now well underway. Once completed, this new development will become our third finished project for Amazon. For a sneak peek at how this new hub will look come completion, check out our previous work at Amazon Bardon and Dunstable.